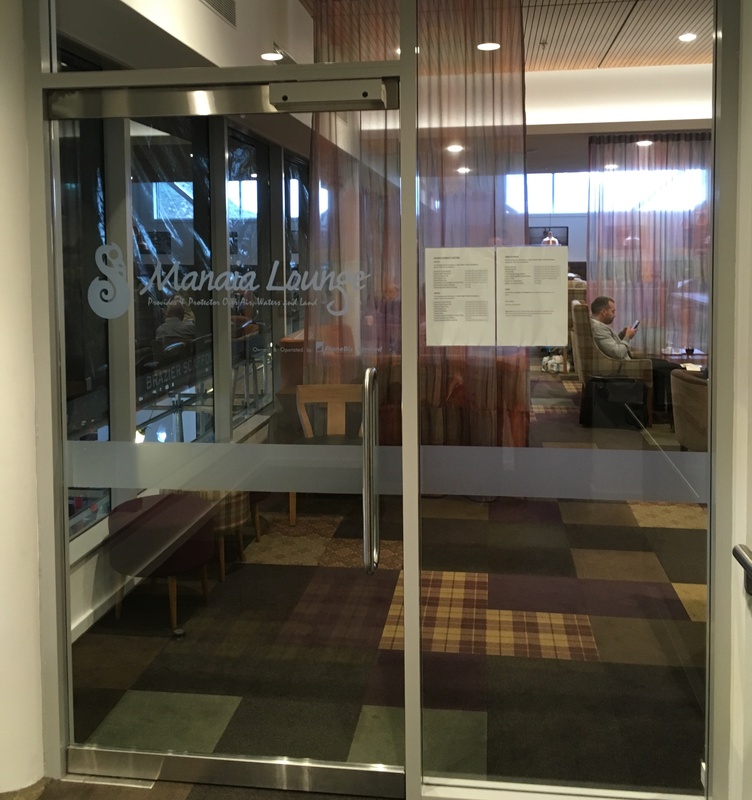 As part of my Virgin Australia Business Class Melbourne to Queenstown review, I was able to enter the Manaia Lounge in Queenstown, which is included as a benefit for Business Class guests. 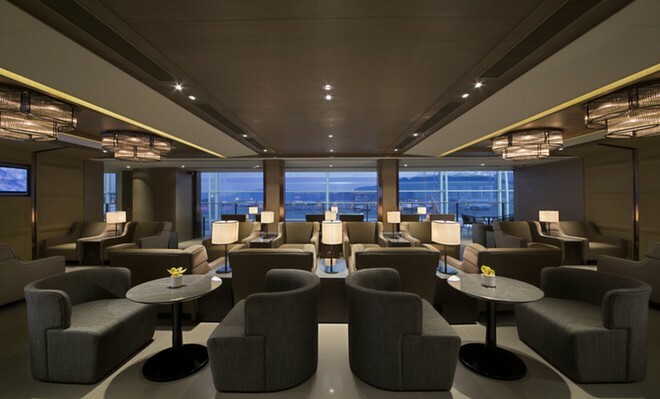 This guide takes a look at the amenities and service on offer in this lounge. 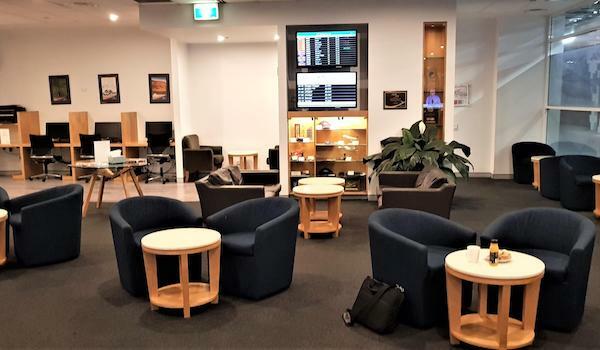 The lounge is located on the first floor of the terminal building and is open 90 minutes before a Qantas or Jetstar flight, and also once the International Security Screening opens. 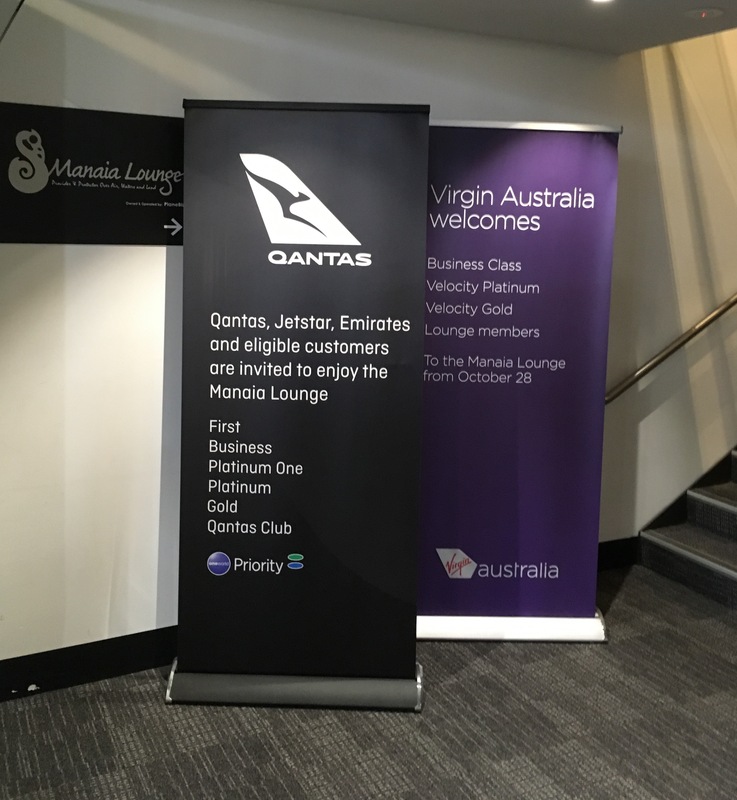 Qantas and Virgin Australia signage adorn the stairway entry leading up to the lounge. 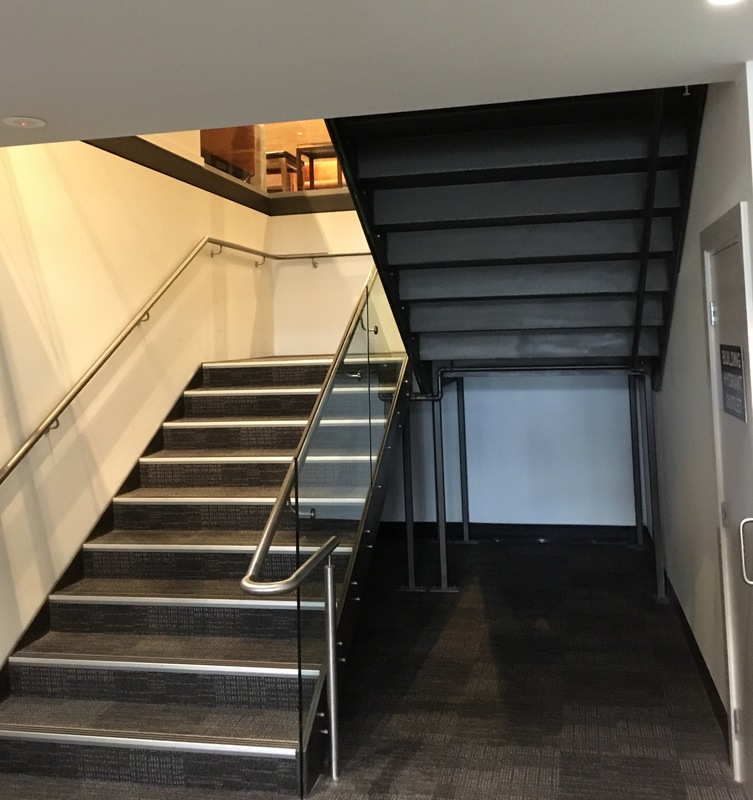 The service desk is located on the right just after you enter the lounge, and on my visit was manned by a very friendly staff member who went to the trouble of directing me to where the all the main amenities were located. 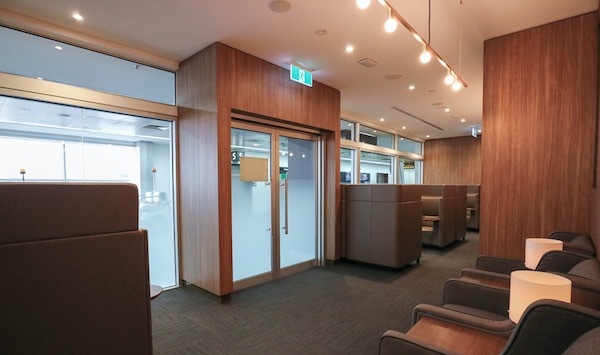 The lounge is relatively small but can seat up to 120 guests. 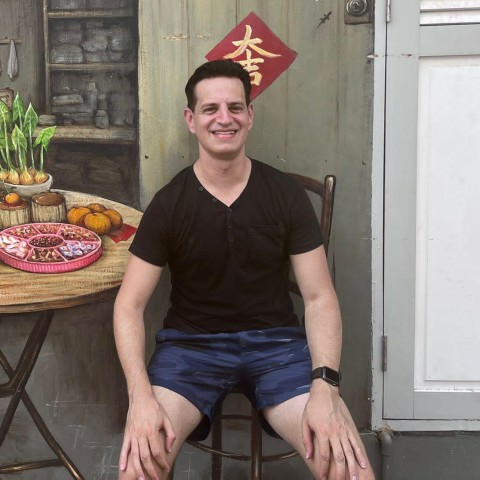 It has a ‘homely’ feel to it, partly due to its small size, but also due to its good variety of internal decorations such as pictures depicting the different scenery of Queenstown hanging on the wall or in certain sections as part of the wallpaper. 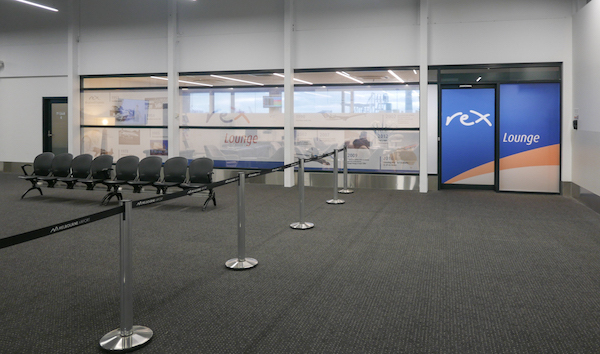 There are two main seating sections in the lounge, with the main section overseeing the food and drinks area to the left of the service desk, and a smaller quieter area that hooks around the back of the service desk and to the right, as shown below. 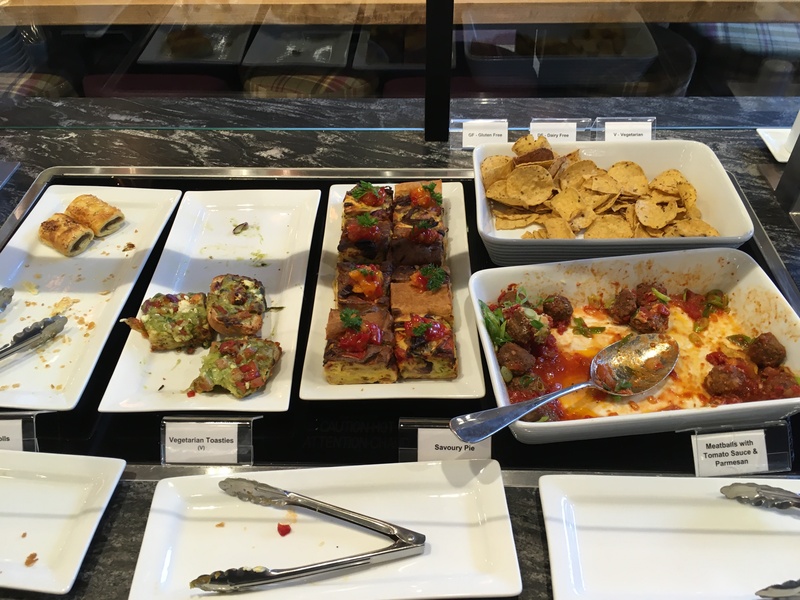 There are plenty of hot and cold food options available in the lounge, including both sweet and savoury options as well as basic snacks. 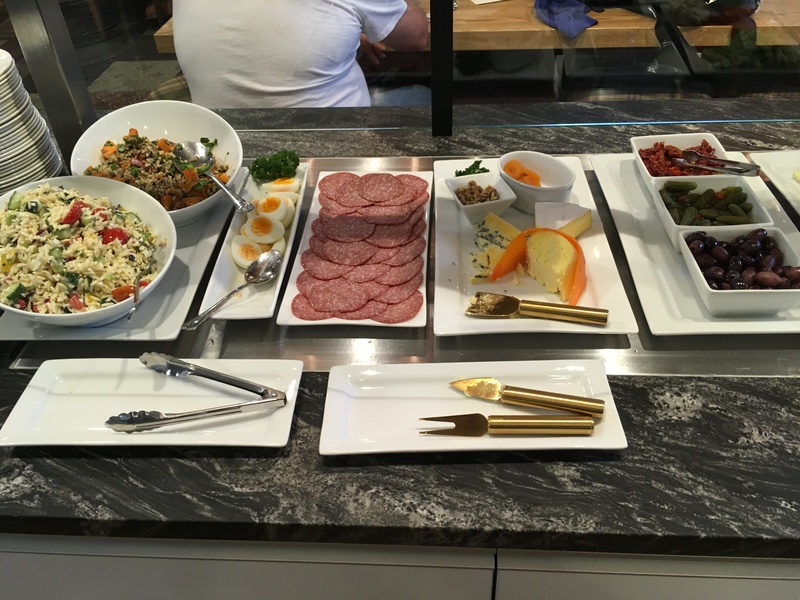 On the day of my visit, the cold options included cold pasta, hard boiled eggs, salami and a variety of salad items such as olives, pickles and sun-dried tomatoes. 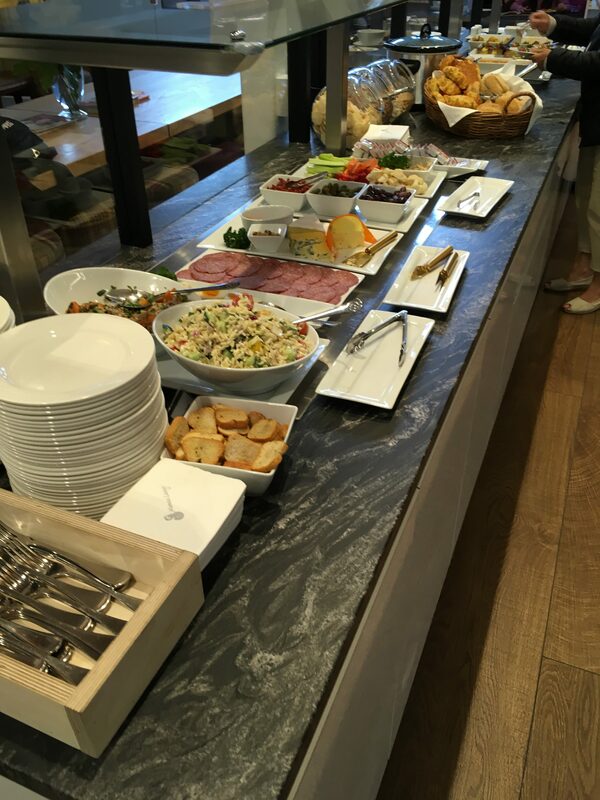 Hot dishes included party and savoury pies, as well as meatballs with tomato sauce and parmesan, along with a vegetarian toastie option. 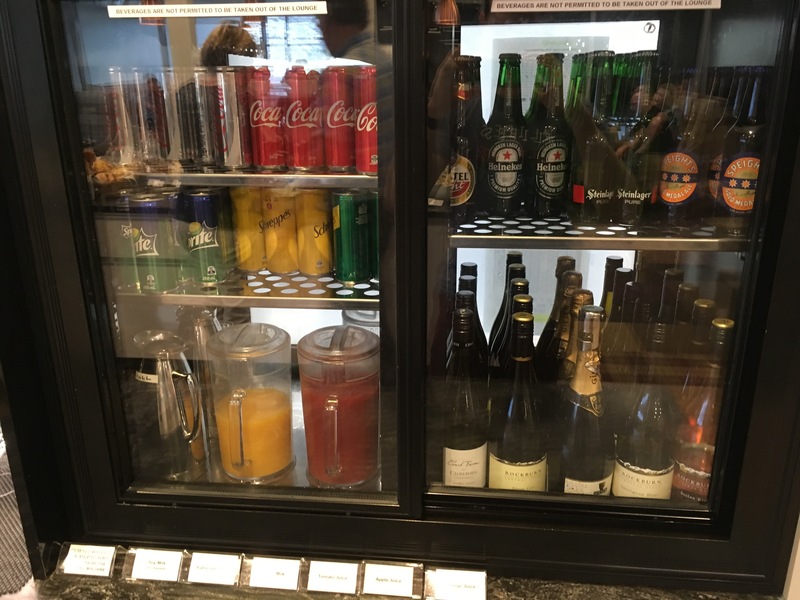 A self-serve fridge is available, which includes a variety of beers, wines soft drinks and juices. A self-service machine is also available for coffee. A small number of basic spirits are also made available, however, don’t get too excited, as the options are limited and are standard in quality. 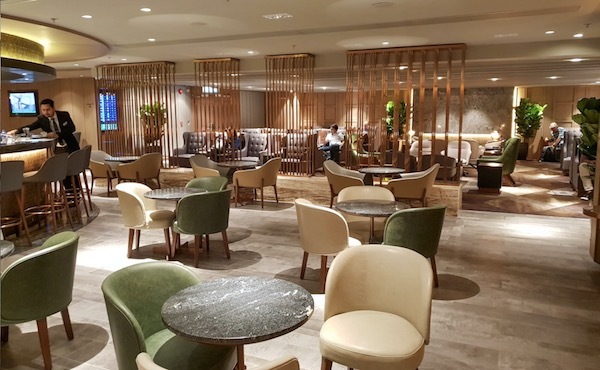 The lounge offers complimentary wi-fi that I found to be relatively fast and definitely ideal for emails, browsing websites and streaming music and video content. 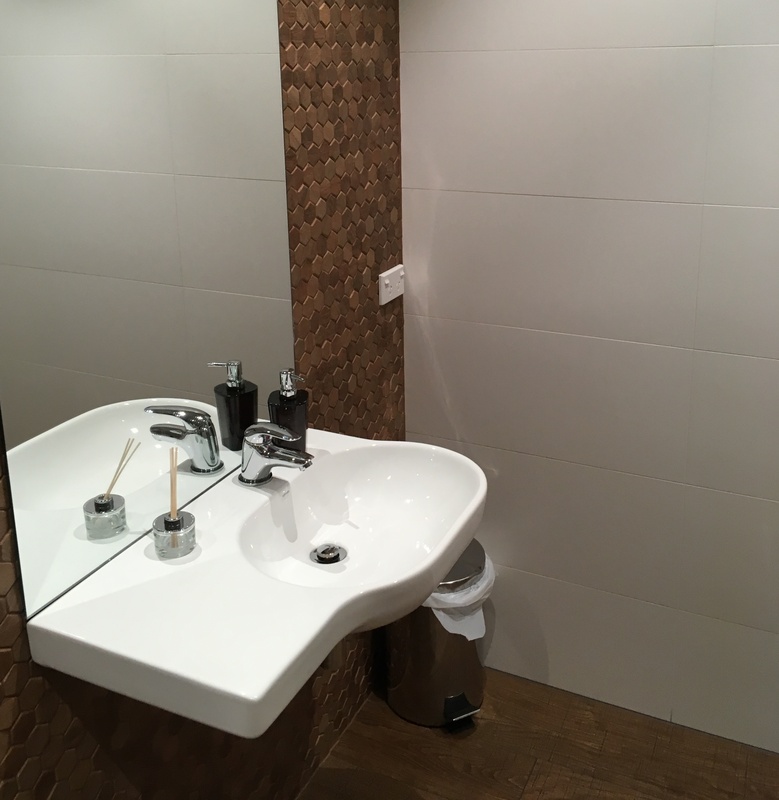 The bathrooms were small with two cubicles, but more than sufficient in size to handle the capacity of the lounge, and were very clean and well maintained. 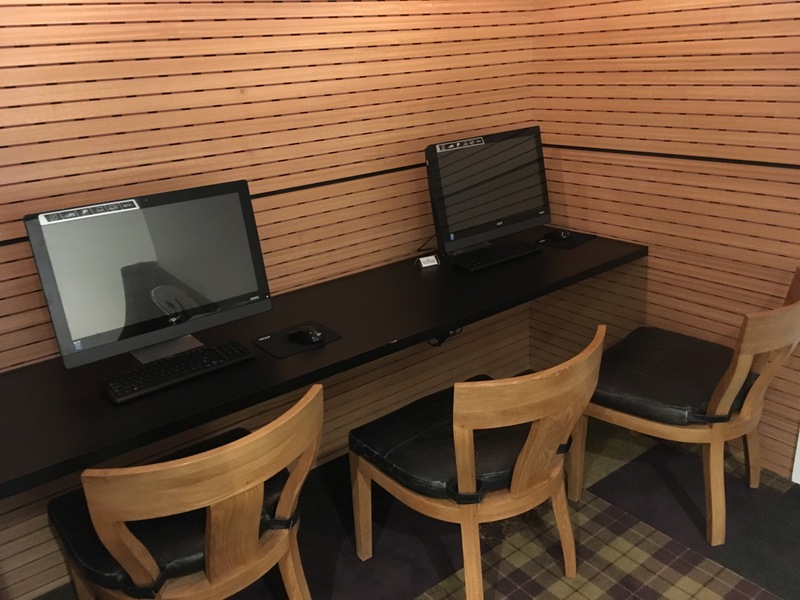 The lounge also had two desktop computers available for use for those looking to do a bit of work during their lounge stay. 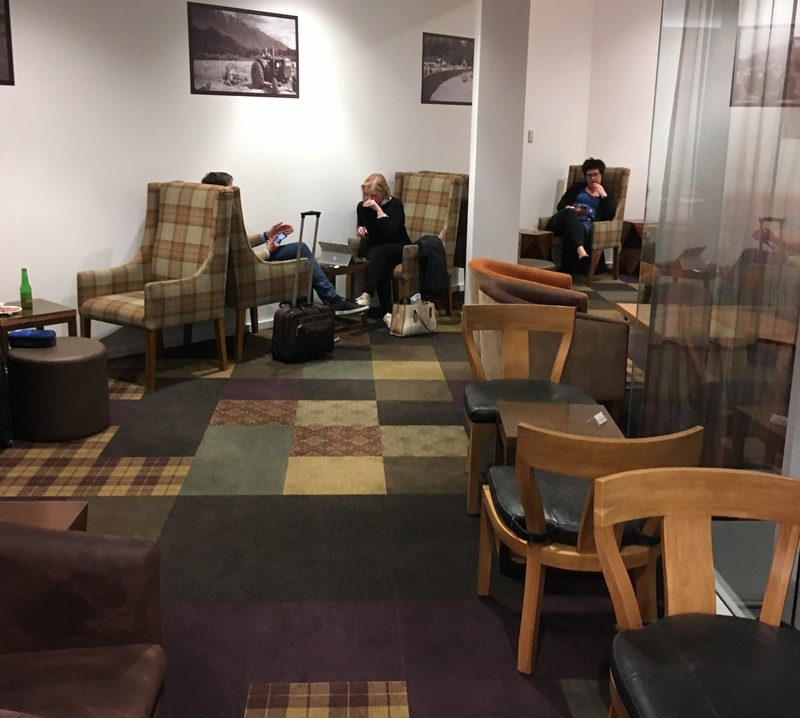 The Manaia lounge is a nice quiet retreat from what can at times be a very chaotic Queenstown airport. 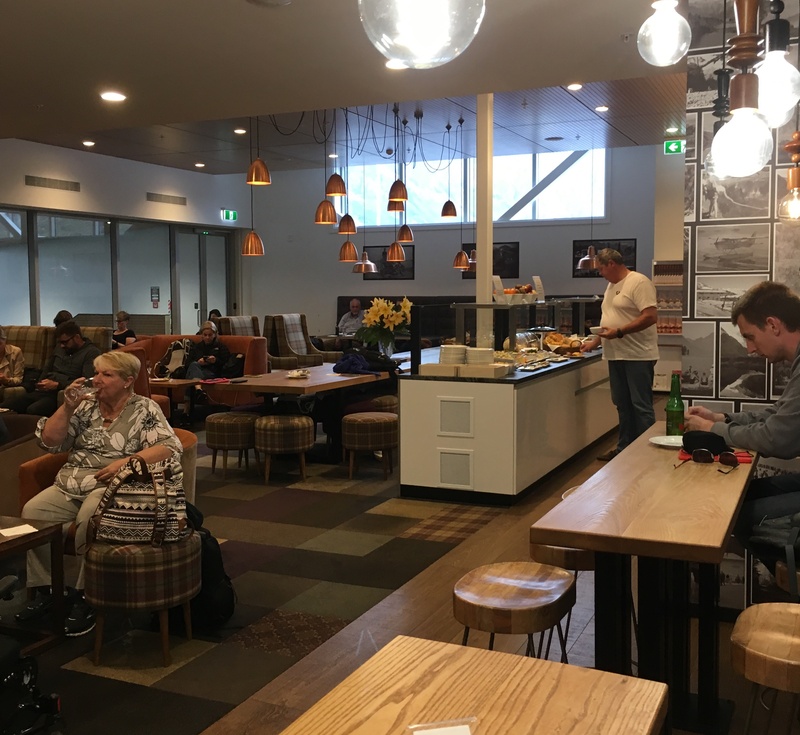 The lounge includes all the required necessities, along with a large variety of food options, especially for the size of the lounge. 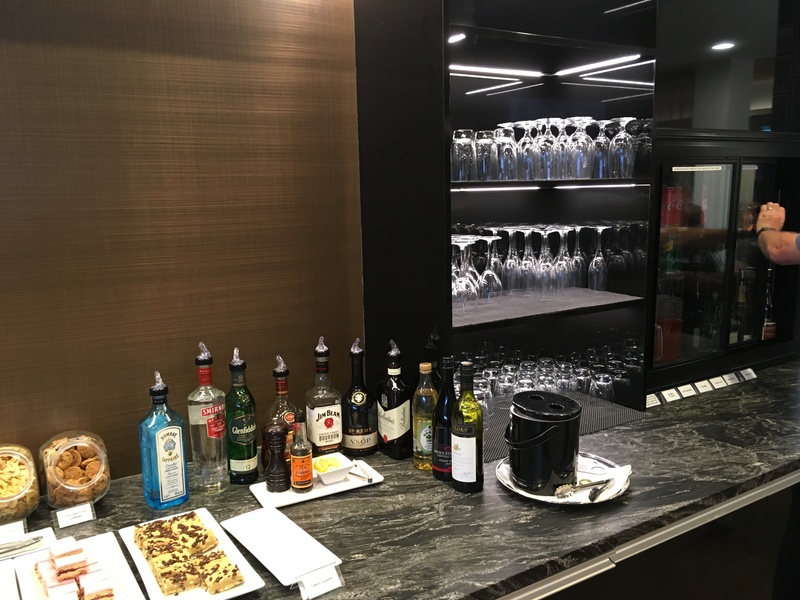 While the drink options are definitely satisfactory, those looking for a wide variety of top-shelf spirits will be disappointed. 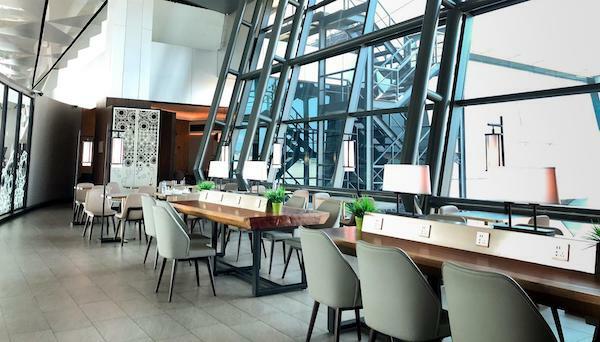 Overall, the lounge was a great place to relax and grab a quick bite, and stream some of my favourite TV shows while I waited for my flight.